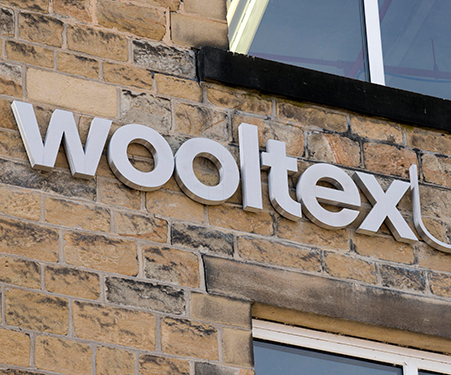 Located in the heart of Yorkshire’s textile industry, WooltexUK have been designers and manufacturers of textile fabrics since 1996. An independent, family owned business, we pride ourselves on excellent customer service, quality and innovation. Our main sales focus has been the supply of contract upholstery fabrics for office seating, public buildings and concert halls but we also supply fabrics used in the manufacture of window blinds. Most of our sales are exported for distribution within the EU and beyond. The company has expanded rapidly since its inception and our range of manufacturing services has increased in line with this growth. For some years now Wooltex has carried out its own Warping, Weaving, Mending and Final Inspection but from 2015/16 a significant investment programme, tailored specifically to our needs, provides a new state of the art Dyeing and Finishing facility. 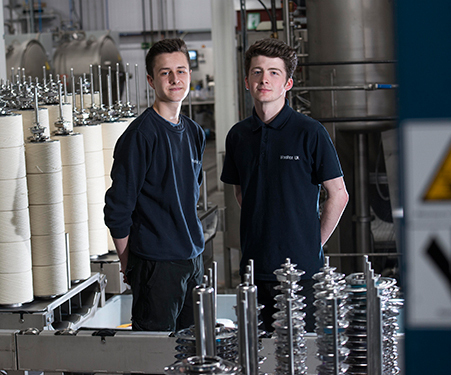 Our strong technical team linked to investment in the latest machine technology, enables us produce world class fabric designs quickly and efficiently. We continually research and develop new product areas and production methods to meet the needs of our customers. Staff training needs are continually reviewed and employee advancement within the organisation is actively encouraged. It is our policy to use approved local suppliers wherever possible in the manufacture of our products and we insist products from external suppliers are made to the same exacting standards we set for ourselves. Our local approach ensures fast, high quality production and minimises costs, as well as reducing the impact of our carbon footprint. WooltexUK a ‘manufacturer without looms’ is founded by Peter Timmins. All orders received are sub contracted to local manufacturers. The main focus is the production of wool based fabrics for use in contract upholstery. Begin Weaving internally at Upper Mills in Slaithwaite. In addition all Mending and Inspection is carried out internally. The Weaving is extended to include a Jacquard weaving facility. 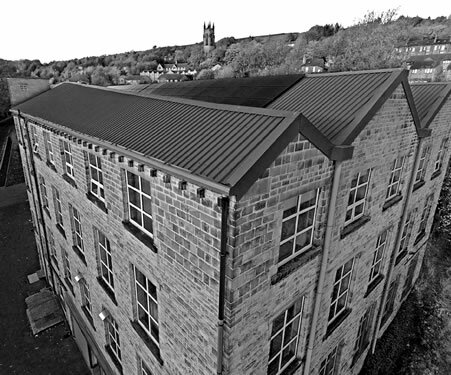 The company having outgrown its first home in Slaithwaite moves to bigger premises at Woodland Mill in Longwood, used for textile manufacture since 1878. Our biggest customer Kvadrat a/s acquires a shareholding in WooltexUK. Woodland Mill extended to meet growing sales demand. Solar Panels are installed to provide sustainable energy production for the Mill. Land in Dale Street is acquired and work begins on a second extension as demand continues to grow. A new finishing facility, the first for many decades in the UK, is installed. New high speed weaving machines increase capacity further. Sales of fabric reach 2 million metres for the first time. WooltexUK nominated as a company to ‘inspire Britain’ by the London Stock Exchange. State of the art dyeing facility installed. WooltexUK wins Queens Award for International Trade. Installation of Piece Dyeing equipment to complement our existing yarn and top dyeing facility.